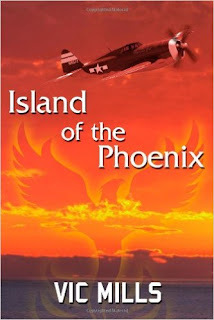 Today we are interviewing Vic Mills, author of the historical fiction novel "Island of the Phoenix." Prior to taking up writing, music was always my passion, clear back from when I was in high school. I still compose music and play in a band in my spare time, but from 1996 writing has taken a front seat. That is when I began working on my first novel, an autobiographical story of my experience in the Army. My work for the last 35 years has been in the car business – consulting, and assisting clients to find and obtain vehicles that meet their needs. A pilot crash lands on an island behind enemy lines in the Pacific theater during World War II, and falls in with five other marooned Americans. Together they struggle not only to survive, but to help the allied forces turn the tide of the war. The story is appropriate for audiences from young adult and up. It has received great reviews from men and women, and from both veterans and non-veterans. What inspired you to write a novel about a pilot marooned on an island behind enemy lines in the Pacific theater during World War II? I wanted to tell a story that was based on little known history, and also to highlight the heroism of everyday GIs who have served in wartime. Tell us a bit about the main character, Captain Michael Hollands. By his early 20s, college graduate Michael Hollands of the United States Army Air Corps, is already a combat-hardened pilot, but that has not taken away his respect for humanity or his high ethical standards. He is a natural leader who thinks beyond the norm. Did your time in the Army influence how you wrote this story? As a former Army MP who served in Vietnam, I wrote from personal experience of the inhumanity of war and the great compassion of the human spirit. Because much of the materiel we were supplied was actually from the 1930s and 40s, I could write from first-hand knowledge about many of the weapons used during the time in which this story was set. As a teen I really enjoyed reading "Johnny Tremain" by Esther Forbes. The history of it appealed to me, and I have always enjoyed story-telling. Before I start writing, I generally have the whole story pretty much in thought, but I am often surprised by what my characters do as the story progresses! Occasionally I will mentally rewind a section of the manuscript as if it is a movie, and rewrite it to see how it plays out. How do you feel about the increasing popularity of e-books? I have never read one myself. I prefer to have an actual book in my hands. On the other hand I know it makes more titles accessible to people. I plan to continue writing. I love doing it! 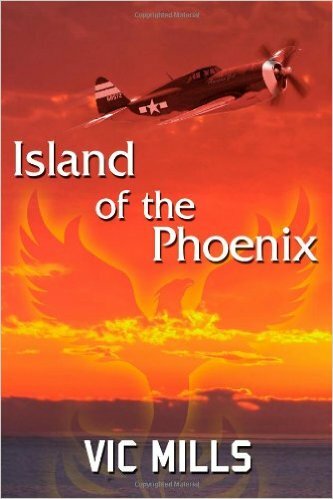 I already have a sequel to "Island of the Phoenix" in the works, along with a short story about WWII aircraft. Currently I am working on a western set in the late 1800’s. I hope they inspire people to write! I never imagined that I would become an author.